Seattle Mayor Jenny Durkan’s new team includes a former ferries boss, holdovers from Ed Murray’s administration and political operatives with connections to top lobbying firms and Hillary Clinton’s 2016 campaign. 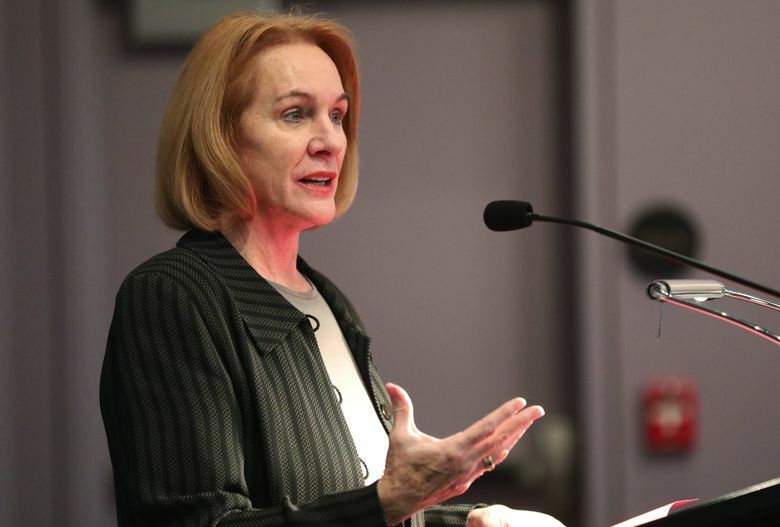 Seattle Mayor Jenny Durkan has named a team of key staff members that includes a former Washington State Ferries boss, some holdovers from Ed Murray’s administration and political operatives with connections to influential lobbying firms. David Moseley is a top hire on the list that Durkan released Tuesday as she was sworn in as mayor. A Seattle Housing Authority commissioner who ran the state’s ferry system from 2008 to 2014, Moseley will serve as chief operating officer. Michael Fong will be Durkan’s senior deputy mayor and Shefali Ranganathan her deputy mayor for external relations; Durkan announced those hires earlier this month. Fong is a longtime City Hall aide who was Murray’s chief of staff for about two years, while Ranganathan was executive director of the Transportation Choices Coalition, a pro-transit advocacy group. Besides Fong, Murray-administration holdovers on the list include legislative-affairs director Anthony Auriemma, policy director Edie Gilliss and legal counsel Ian Warner. Moving into City Hall are communications director Stephanie Formas, new mayor’s office administrator Lyle Canceko, director of major initiatives Kylie Rolf and director of external relations Andres Mantilla. Formas was Durkan’s campaign spokeswoman, while Canceko and Rolf have worked for Sound View Strategies, the lobbying and politics firm that ran the campaign and that worked closely with Murray. Rolf is married to David Rolf, president of SEIU 775. Mantilla hails from Ceis Bayne East Strategic, another prominent Seattle-based lobbying and politics firm that counts among its clients major businesses such as Vulcan and Starbucks. Gillis, Formas and Canceko all worked on Hillary Clinton’s 2016 campaign. Rolf worked on Seattle for Everyone, an organization launched in 2015 to rally residents around Murray’s Housing Affordability and Livability Agenda, including the “grand bargain” that involves upzoning neighborhoods while requiring developers to help create low-income housing. Kindle Shaw will be Durkan’s executive assistant.